Here are some guidelines on how you can get different types of policies while working in the UK. Deciding which company to get your insurance is the most important part of the process once you have identified your needs. You have to make sure that the provider you are choosing is accredited by the The Financial Conduct Authority. It is also the agency that can assist you in case you have any complaints or issues against the broker who handles your coverage. The most common type of policy is medical protection, and this is usually provided by your employer or sponsor as part of your relocation package to the UK. Make sure to discuss prior to departure what are the options that your benefits package will offer you and if you need any add-ons to maintain the same level of protection as you had back home. There are also several international and local companies that provide protection for both life and non-life products. You can choose between Admiral Insurance , the country’s leading insurance provider for car, travel, home, life and pets and an international bank such as HSBC that offers a broad range of insurance products to many expats across the world. Once you have decided which type of policy you need, you can contact an agent by phone or email to schedule a personal appointment. Most of the companies also have websites where expats can get a free quote online. Ask as many questions as necessary regarding their products so that you can have a better idea on which one can best suit your needs. Health risks in the UK are limited. Influenza is a common illness that usually hits during the months of November to April and usually targets children or adults who spend a lot of time in public places. These types of health risks can be dealt with by proper prevention through vaccinations, regular visits to the doctor and physical exams that’ll monitor the status of your health. 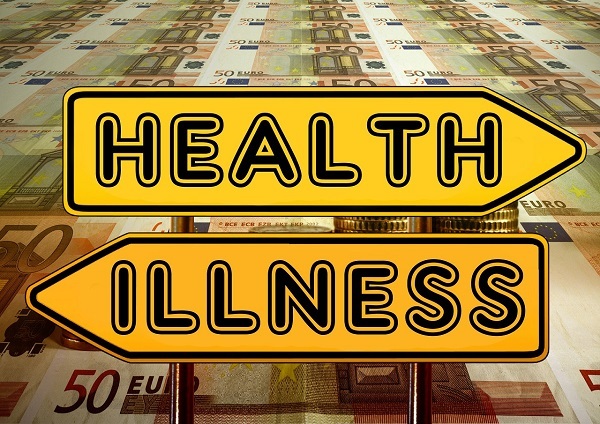 By having medical insurance, you can now take care of your body without the worries of spending a huge amount of money. The insurance sector of United Kingdom ranks to be the largest in Europe and the third most thriving in the whole world. It plays a significant role in the country’s growing economy by paying nearly £12bn in taxes to the Government. All of these providers are supervised by the The Financial Conduct Authority, a sector who is in charge of regulating their operations and ensures that no clients’ rights are being violated. Under the Road Traffic Act of 1930, all drivers in the UK are required by law to have auto insurance. Drivers need to have coverage that’ll cover their liability to other people and the damages caused to third-party properties. Having auto insurance can significantly help you in dealing with the situation and can greatly decrease the amount that you have to shoulder. United Kingdom provides free or subsidised medical care to all its citizens and eligible individuals thru the NHS or National Health Insurance Scheme. However, this public health care has limitations especially for expats or those from non-EU states. It is still best for you to get a policy from an international company such as BUPA Global who offers health coverage for expats abroad. You can also have the assurance that these multinational brokers can give you medical and emergency service anywhere you are; a type of benefit that local companies are mostly limited to provide.